Onedex Power and Water have been innovators in seeking out new lighting technologies to offer to the market. We ensure the costs of LED and solar powered lighting systems are competitive and are high quality. Onedex Power & Water have been researching Solar Lighting Technology and LED street lights for many and have visited factories that manufacture this equipment. The benefit both financially and environmentally are without question. It is simply a question of the right product for the application. 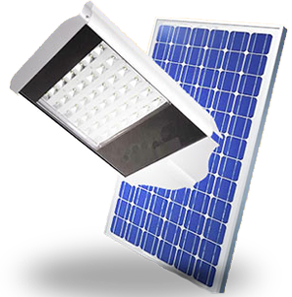 The manufacturers we represent are experienced in this industry and provide us with a wide project history of LED solar lighting projects, LED and solar street lights and road lighting that confirm the suitability of this technology to Australia. With our LED solar street light systems, the infrastructure is simply a foundation block fitted with our anchor bolt and that's it...stand the lights and turn them on. Solar has been known as the most "clean" and "green" source of energy for many years. In many peoples mind there is a balance between being environmentally friendly and what it costs to actually "do it". LED light systems and the production costs to run LED lights is 60-75% less than tradition lighting systems and production costs.